This is a photo of one of my favorite places on earth. 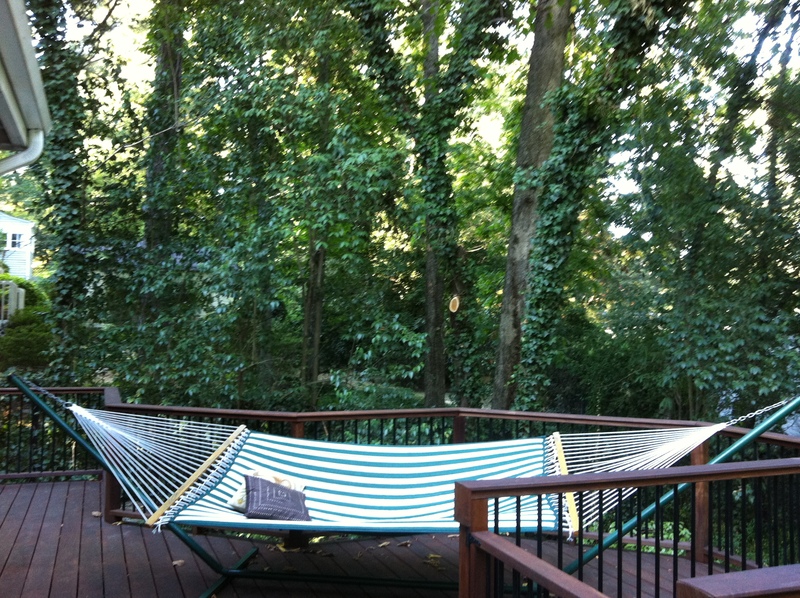 Someone asked me recently if, when I get in my hammock, I read books or just lie there. The person who was asking me that question had just explained that he was a big reader. He reads both magazines and books and is a member of an online book club. The question seemed like an IQ test. Was I a big reader, improving my mind, or did I just lie there and do nothing? Everybody needs a place where you can just be. Nothing to do, nowhere to go, nothing to prove. Just being. This is one of the most healing things you can ever do – practice just being. I can lie in my hammock for hours and stare up at the trees, watching the hawks go by.